Blood pressure lowering drugs come with many side effects so people often look for alternative treatments. Let’s take a look at 11 useful essential oils for high blood pressure. High blood pressure can put a person’s life at risk. Even though there are a lot of prescription medicines available to control this disease, they always come with side effects. For this reason, many are looking for natural remedies and preventive measures for high blood pressure. Even though supplements such as fish oil, magnesium and CoQ10 are quite successful, their benefits can be maximized if they are used in tandem with essential oils. Studies show that essential oil from bergamot can decrease high blood pressure if diffused and inhaled for 15 to 60 minutes. Using bergamot oil in aromatherapy may reduce heart rate and blood pressure. 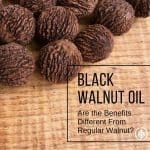 There were also studies done in a controlled, stressful environment, and the results indicate that inhaling this oil can decrease anxiety and improves a person’s mood. The essential oil from clary sage can decrease both the systolic and diastolic blood pressure. It also lowers the respiratory rate when used during aromatherapy. Studies have also shown that it has an anti-depressant effect, and it actually helps decrease the risk, and treat alcohol abuse, which is a risk factor for high blood pressure is also prevented. This makes clary sage one of the top essential oils for high blood pressure support. The rose essential oil is popular for its calming effect due to its scent. It also has anti-inflammatory and cooling actions that relaxes the whole body. Rose essential oil improves blood circulation, making it quite useful for high blood pressure. The jasmine essential oil has a euphoria-inducing quality that calms the nerves and boosts confidence. This calming effect improves breathing, lifts depression and alleviates nervous anxiety. As a result, a tense nervous system which is a common cause of hypertension is resolved. The essential oil from lavender is one of the most popular oils in the market. And lavender oil is one of the top essential oils for high blood pressure support. One of the benefits of lavender is lowering blood pressure. A recent study checked the brain impulses of patients that inhaled diffused lavender essential oil. It revealed that heart rate and blood pressure were reduced. Lavender also decreases tension and stress in order to induce sleep. A person will feel more relaxed, alert and refreshed after inhaling the oil. The essential oil from the Geranium plant improves blood circulation and promotes deep sleep. Geranium oil promotes balance in the nervous system to calm your overactive mind. It is highly recommended that you use it during bedtime. Experts say that the essential oil obtained from the valerian root has a calming effect on the nervous system. The tense sympathetic nervous system becomes relaxed, while the parasympathetic nervous system is stimulated. Valerian root oil also eases insomnia, nervous tension, heart palpitation, and hyperactivity. This is the perfect oil to use if you want to get a deep sleep at night. Frankincense is a powerful oil that has a relaxing effect on the body. It regulates the heart rate and lowers stress levels. The benefits of frankincense increase over time even if you use the same amount. This is a plus when compared to prescription drugs which requires you to increase the dose to maintain their efficacy. This essential oil of marjoram is not yet widely known for its health benefits, but it is still powerful. It is utilized in traditional Moroccan medicine to control hypertension naturally. Research studies show that marjoram can help lower myocardial oxidative stress which can cause heart failure. This reduces the risk of having a heart attack. The essential oil of lemon oil is considered a tonic for the heart. This is because it can help lower high blood pressure. Lemon essential oil protects you against tachycardia, heart palpitations, and heart attacks. And it possesses a strong antidepressant property that helps elevate your mood and balances your emotions. The Ylang Ylang flower essential oil has a smooth, relaxing fragrance that helps reduce stress. Studies also report that the combination of Ylang Ylang and Bergamot essential oils also controls cortisol levels aside from blood pressure. Some of the most effective essential oil recipes for hypertension involve a combination of different oils. It is vital to search for a mixture that works best for you. Aside from using essential oils, you should also have regular physical activity, healthy diet and reduced stress levels. Doing this will help you keep your blood pressure under control. Try diffusing a mixture of jasmine, rose and ylang ylang in a diffuser. 2 drops of each essential oil is a great number to start with. If you are looking for a high quality diffuser you can find one here at Got Oil Supplies. Wow, this post is so useful. I will buy the lemon oil to lower my blood pressure. Thanks so much for sharing! I’m sure that is true. Your amazing insightful information entails much to me because I’m hypertonic and obsessed with essential oils! Can I pin this post on my Pinterest board? My followers will love it.